Our free worksheets are taken from Bond SATs Skills workbooks. Bond SATs Skills workbooks are designed to be worked through by your child at their own pace. Each workbook contains ten units of activities, packed full of SATs-style questions covering the topics children need to master. These all are structured to include a comprehensive coverage of the National Curriculum, a structured learning programme, and help and advice for parents. If you'd like to learn more about how to support your child through their SATs, visit our Key Stage 2 SATs page. 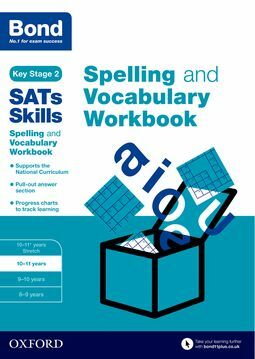 Bond SATs Skills Spelling and Vocabulary for age 10-11 has been developed by Bond with Oxford Dictionaries to build on core English language skills. With renewed focus on spelling and vocabulary throughout the National Curriculum and in academic testing, the ten units in this book will help children to establish the knowledge of the words expected in key assessments. 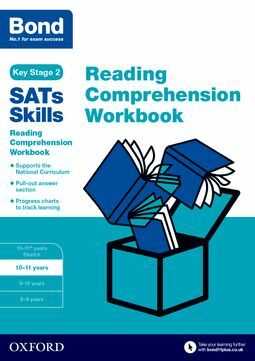 Bond SATs Skills Reading Comprehension Workbook for Age 10-11 follows on from Bond SATs Skills Reading Workbook for Age 9-10, increasing the level of difficulty in reading comprehension, to ensure progress towards the reading skills demanded by the National Curriculum and tested in SATs assessments. Contains ten units for your child to work through. 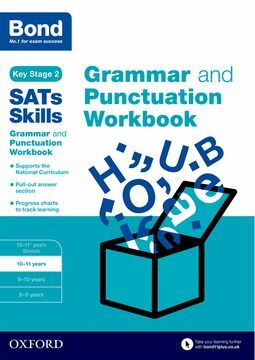 Bond Skills Grammar and Punctuation for age 10-11 has been developed by Bond to develop the grammar and punctuation knowledge sought in the Grammar, Punctuation and Spelling Test, SATs and through selective school exams. Contains ten units for your child to work through. Bond is the number 1 provider of 11+ practice, helping millions of children pass selective entrance exams. 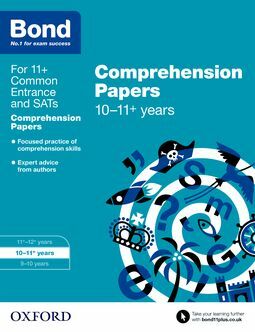 Bond Comprehension Papers for 10-11+ Years is essential for building comprehension skills in preparation for the 11+, Common Entrance examinations and SATs. This practical guide follows an accessible, step-by-step approach to developing these key skills. If you'd like to learn more about how to support your child through their SATs, take a look at our Key Stage 2 SATs page, and visit our blog for advice from the experts!